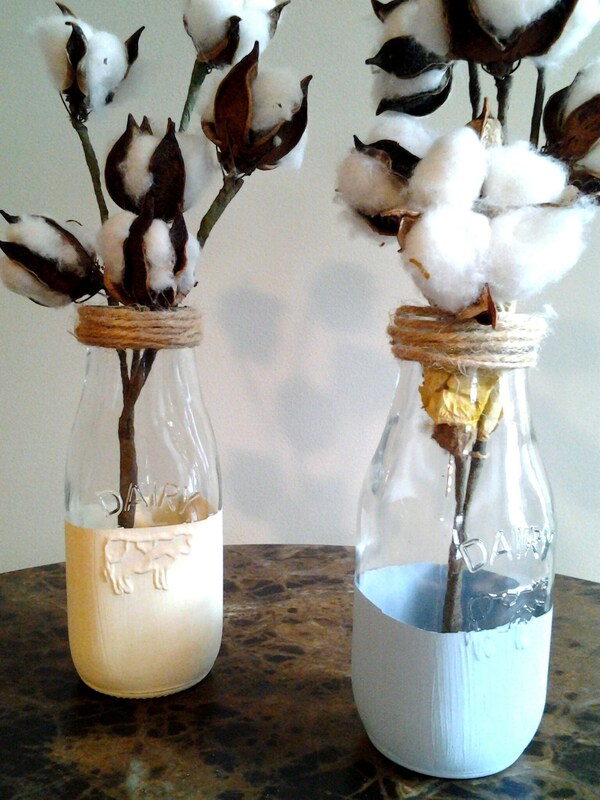 These adorable milk jar vases are painted with popular chalk paint in winter cream. 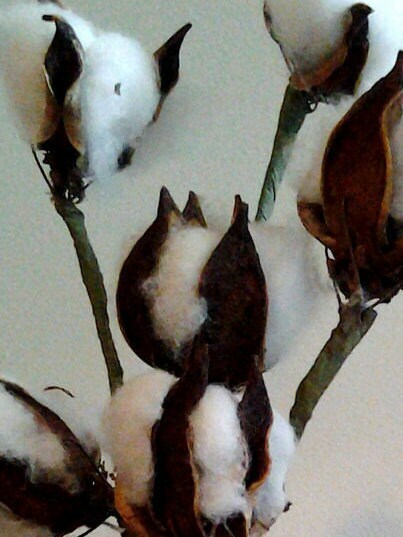 We added a stem of North Carolina cotton bolls (6 cotton heads) and the brown wooden leaves to add to the charm. 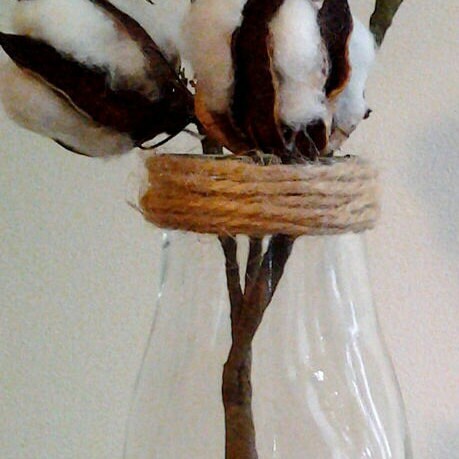 The top of the vase is embellished with twine. Approx. size 15 x 3". Karen gave this vase a 5 star review saying " Very fast shipping and a very beautiful item! My son and daughter-in-law loved it! Perfect second anniversary gift!!"